Franz Ferdinand have "started afresh" with their new album 'Always Ascending'. The Scottish rockers have had a tough time in between the release of their previous album, 2013's 'Right Thoughts, Right Words, Right Action' and their recently released fifth studio venture, with their founding guitarist Nick McCarthy deciding to leave the band in 2016. 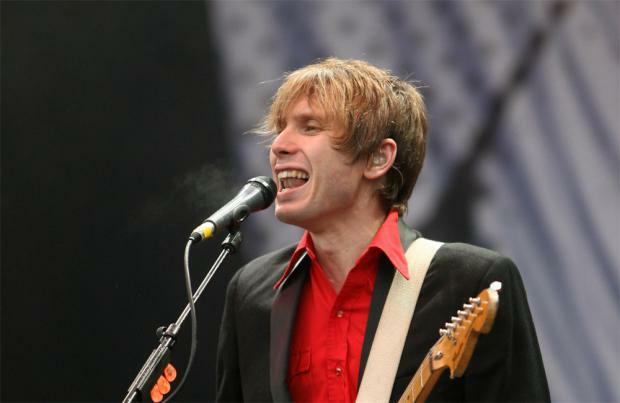 Without Nick, the three remaining members - singer Alex Kapranos, bassist Bob Hardy, and drummer Paul Thompson - attempted to push forward and write new music, and Bob admits the band were forced to "completely" start over. He said: "But we were really only a hypothetical band at that point. We didn't even know what we were working on or that it was going to be made into a Franz Ferdinand record, for that matter." Whilst Alex added: "And it felt like we had completely started up afresh." During the recording of their album - which was released on February 9 - the 'Take Me Out' hitmakers replaced Nick with two new members, multi-instrumentalists Julian Corrie and Dino Bardot. And now, Alex can't think of anything he'd rather be doing than fronting the new and improved band. Speaking to Billboard, he said: "Right now I couldn't think of a life I'd rather have." Nick departed the band in July 2016 in order to focus on his family, including six-year-old son Vito Gernedel, whom he has with his wife Manuela Gernedel. A statement on the band's Facebook page at the time read: "Nick will not be taking part in the recording or touring of the next Franz Ferdinand album. "When we record and tour, it takes a long, full time commitment lasting a minimum of a year and a half, most of which is spent away from home. Nick has a young family and does not want to be away from them for such a long period."